Born in a small village not far from Venice, Italy, Tony began his working career at the age of 14 working nights in a brewery in Innsbruck, Austria while attending technical school during the day. It was here he learned German, English and the arts and crafts of the use of stone in construction which he was to use during his life in Canada. On his graduation four years later (1909), he came directly to Winnipeg where at the age of 18 he began his Canadian career doing stone masonry on the Manitoba Parliament Building and the University of Manitoba buildings. In 1913 he looked further West for a place to begin his own business. He came to Saskatoon, found it was beginning to expand as a railroad centre, and began a contracting business, building stone bridge piers for the railroad as it branched out around this centre. Saskatoon appealed to him and he felt its potential. He joined in partnership with another cut-stone supplier, Mr. Joe Ganguish, and business prospered with the beginning of university construction. He realized his dream was to own his own business and moved in that direction in 1920 with his brother, Peter, who had joined him in Canada a few years earlier. They opened a cut-stone and memorial shop on what is now Idylwyld and 23rd Street, and business flourished. He taught the crafts of his trade to many who worked for him. Some of these including his brother Peter, moved to other locations and began their own prosperous businesses. He was innovative and willing to chance on his belief in Saskatoon's potential. Because of this, his was the first business west of Winnipeg to have its own moving bed powered stone saw. In those days this was a significant capital investment. In 1926, after his brother moved to Winnipeg, Tony moved to 404 Ontario Avenue, directly across the street from the then new Saskatchewan Cooperative Creamery. He was in good company for this was the heart of Saskatoon at that time. He continued his business there until 1939. In that year he moved to the "top of the 23rd Street Subway" (now filled in) where his business remained until his death in 1954. The site is now occupied by the Saskatchewan Transportation Company's Bus Depot. Tony continued his education while conducting his business and in 1929 he graduated from I.C.S. (International Correspondence Schools) in Architectural Technology with an average mark of 99%. He has over the years contributed his drafting skills and knowledge of European Architectural Design at the request of local architects and engineers. One such, and which stands out, is St. Joseph's Church on Broadway Avenue & 8th Street. The towers and sanctuary were designed by him based on European architecture for G.J.K. Verbeke, who was the church's architect. It would be easier to name buildings and other areas in which his talents were not used. Suffice it to say that few buildings and churches were constructed in the period 1921 through 1954 in which stone, cast stone, ceramic tile, or terrazzo flooring were used without contributions of some sort from his business. In fact, this applied to the whole of Northern Saskatchewan. During the "dirty thirties", Tony assisted the courts and local authorities who were giving public assistance with his knowledge of languages interpreting Italian, German, Yugoslavian and the many dialect variations of these languages. He was a member of the Board of Trade until his death in 1954. He was a prominent member of St. Paul's Roman Catholic Cathedral Parish and was consulted by many parishes throughout Northern Saskatchewan in the construction and finishing of local churches and shrines. One such project which today remains a memorial to his talents is the "Shrine of Our Lady of Mount Carmel" at Carmel, Saskatchewan, about 50 miles East of Saskatoon. This shrine which he designed and constructed at the request of Abbott Serverin Gertkin of St. Peter's Abbey in Muenster, Saskatchewan, we his family and his many friends believe indicates the many skills and knowledge he possessed in architecture and stone masonry. Commissioned in 1937, the Shrine was to be built on and around the base of the highest point of land in inhabited Northern Saskatchewan, a hill some three miles north of Carmel. The total concept and its construction were the fruits of his ability. It remains today and will continue to be for many years to come an honor to him. A perhaps more visible product of the arts of his trade are the many memorials in Woodlawn Cemetery and throughout the whole province which were hewn by his own hand or by persons trained by him, from rough marble and granite slabs. In 1921, Tony became a naturalized Canadian citizen and up to 1925 lived in a small residence on Avenue B with his brother. In 1925, Antonio returned to visit his land of origin. 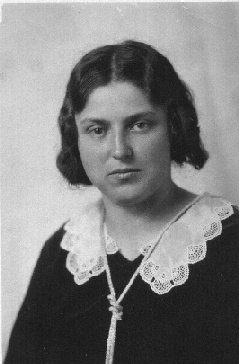 When he returned to Saskatoon, he had with him his new bride, Agnes Chiesa, a young lady from a village near where he was born. On their return, they took up residence in the Alexandria Apartments on 20th Street West (now demolished). In 1926 they moved to the London Building which was then an apartment block. In 1930, they moved to 811 - 5th Avenue North in City Park, a home they purchased from Mr. J.S. Mills; who was later to be a mayor of Saskatoon. In 1946, the Molaros purchased and moved to 509 - 24 Street, East (now the site of the new Star Phoenix Building) where Tony continued his love for Saskatoon until his death in 1954. The Molaros raised a family of five children, Julius, Lucy, Bernard, Cathy, and Frances. His wife Agnes and four of his children have left Saskatoon for residence elsewhere. His son Bernard and. family remain Saskatoon citizens. Mr. Molaro is now at rest in Woodlawn Cemetery, a place where a part of his life's work surrounds him. He was a quiet, honorable man who took great pride in being able to say that he completed every project he ever started to the best of his ability. He was always willing to offer a helping hand to anyone needing it. Saskatoon was his home and he was proud to be a Canadian and Saskatonian. He spent 41 of his 63 years helping to make it what it is. Antonio Molaro was born in the tiny village of Grions, just north of the district town of Sedegliano (Sedean). Agnes Chiesa was from San Lorenzo (San Lurenç), a village just southeast of Sedegliano. Both villages are part of the Comune (municipality) of Sedegliano. According to Antonio and Pietro Molaro's naturalization applications the brothers arrived in Canada at Québec on Monday, June 16th, 1913 aboard the Allan Line ship Scotian. The ship had left Europe from Le Harve, France, and the brothers' destination in Canada was Prince Albert, Saskatchewan. Pietro applied for naturalization December 21st, 1921 and gave his history of residence in Canada as: Prince Albert, Sask. (1913-Dec. 1913), Edmonton, Alta. 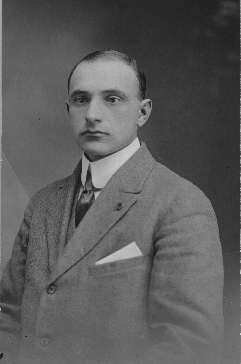 (1913-Feb. 1915), Winnipeg, Man. (1915-Apr. 1919), and Saskatoon, Sask. (1919-[Dec. 1921]). Antonio applied March 8th, 1922 and gave his residence history in Canada as: Prince Albert, Sask. (1913 for three months), Edmonton, Alta. (1913-1914), Winnipeg, Man. (1914-1915), and Saskatoon, Sask. (1916-[Mar. 1922]). According to immigration records, Agnes Molaro arrived in Canada at Halifax on Monday, August 10th 1925, aboard White Star Line ship Arabic.